Jessica Poole, Sr. 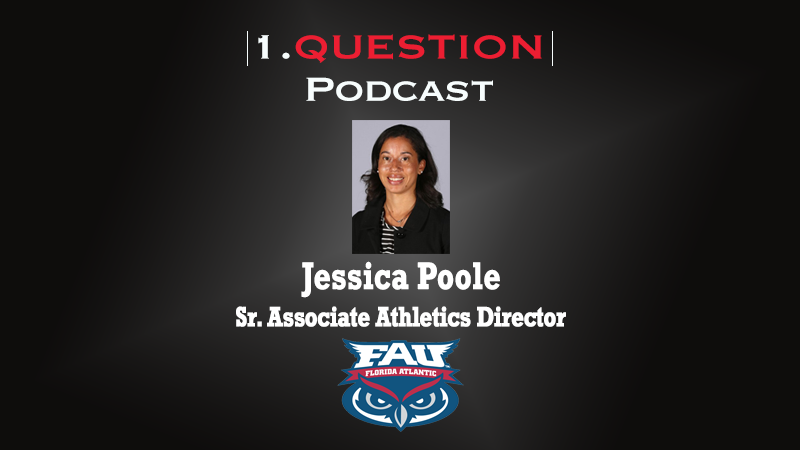 Associate AD for External Relations at Florida Atlantic University, joins the 1.Question Podcast to discuss her thoughts on effective leadership. Recently hired to the FAU Athletics senior team, Poole discusses the aspects of leadership she considers effective. Self-awareness, understanding those you work with and for, and collaborative decision-making are qualities she deems necessary as she embarks in her new role overseeing the communications, marketing, and corporate sponsorship departments.